While we’re based in the US, we have always found both great interest and ready adoption by providers and digital businesses around the world, including those in Europe. Despite a relatively short 3+ years since our launch, Kentik’s SaaS solution has already been embraced by dozens of organizations across the European continent — particularly those who deliver or depend upon routed networks and the Internet as an essential part of their operations and business. Throughout the past several years, Kentik has engaged in active discussions with many more European organizations who understand and value what the Kentik service can provide, in terms of network visibility, traffic analytics, network performance intelligence, and streaming anomaly detection. And because Europe is comprised of a large number of densely clustered countries, there is high need for clarity and insights around peering and transit, for both technical operations and business optimization. Reaching all of these potential new clients requires, at some point, more dedicated resources that are aligned directly with the needs of the European marketplace. The Kentik team has long understood this, and recently committed to make such investments a reality. First and foremost, this includes offering SaaS hosting from a European location, in Frankfurt, Germany. We chose Frankfurt because of its abundant network connectivity, myriad choices for data center facilities, and its excellent fit for helping with requirements for data residency shared by many European organizations. 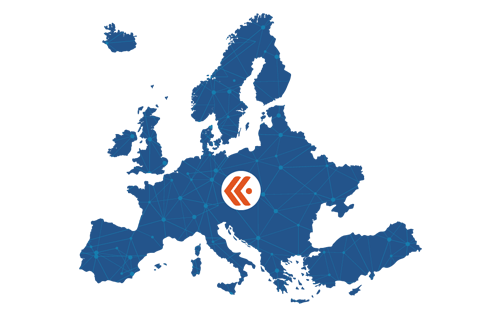 Second, Kentik is expanding our channel program to add more local European partners, including our first in Germany, Diverse GmbH, with plans to continue growing our partner roster in the months and years ahead. Diverse GmbH joins our existing list of regional partners, which include Interdata, Baffin Bay Networks, and Acorus Networks. Lastly, Kentik is investing in local personnel resources within Europe, adding field roles to our existing operations personnel in region. With these growth initiatives, Kentik will be in place to support more customers in more countries with both shared and specific needs. We will remove barriers to adoption and give European organizations a real choice when it comes cutting-edge network traffic and performance monitoring solutions. Kentik is bringing the world’s most powerful network analytics to Europe! To learn more, read our press release or reach out to us.